If you have an overactive thyroid (hyperthyroidism, or thyrotoxicosis), it means your thyroid gland is making too much thyroid hormone. This can cause symptoms, such as feeling weak and emotionally up and down, but treatment is available. Your metabolism is the combination of chemical processes that happen in your body, such as those that change the food you eat into energy. Too much thyroid hormone speeds up your body's metabolism. When your metabolism speeds up, you may lose weight even though you’re eating more, and have other symptoms such as a fast heart rate. Overactive thyroid symptoms can vary – you might just have mild symptoms, or they can be severe. Symptoms can also be different depending on your age. You might even think they’re because an existing health problem has got worse. How bad your symptoms are doesn’t always reflect how severe your condition is. For example, you may have mild symptoms but have a severely overactive thyroid. The symptoms you have can also depend on what’s causing your overactive thyroid. 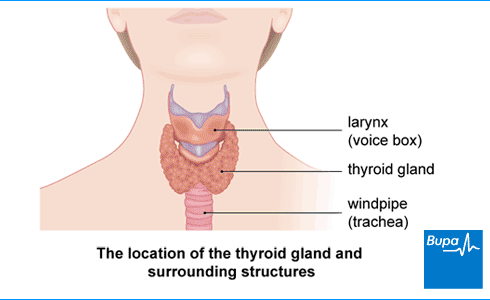 If you have an overactive thyroid, you will have a low TSH level with a high FT4 level and a high FT3 level. The exact levels and types of hormones measured may vary depending on the laboratory and your situation. What’s classed as a normal, high or low level for each of the hormones may vary from one area to the next. If the results of the blood tests show you have an overactive thyroid, your GP will refer you to see a specialist. This will be an endocrinologist, a doctor who specialises in treating thyroid conditions. When you’re first diagnosed as having an overactive thyroid, your doctor may prescribe beta-blockers. These help to ease symptoms such as a fast heartbeat (palpitations) or shaking. You may need to take these until your thyroid hormone levels come down. If you can’t take a beta-blocker, you may be given a medicine called a calcium channel blocker. Your doctor may prescribe you antithyroid drugs, either one called carbimazole, or propylthiouracil. These help to reduce the amount of hormone your thyroid gland produces. These medicines usually work quite quickly, but it can take two to three weeks until you get the full benefit. You’ll be asked to take these medicines for around 18 months. You may be able to stop taking them, although in about half of people their symptoms come back when they stop. If this happens, you may need to try a different treatment. If you’re pregnant, your doctor may change your medicines after your first trimester (the first three months of your pregnancy). This is to make sure your baby develops properly and is healthy. Radioactive iodine aims to destroy your thyroid gland, so that it stops producing hormones. You take radioactive iodine as a drink. It takes around three to four months to work fully. After the operation, your body won’t produce any more thyroid hormones. This means you might develop an underactive thyroid – but this can be treated with medicines. During and after treatment for an overactive thyroid, you may need to have regular blood tests and check-ups. This is to measure the amount of thyroid hormones in your body and to check that treatment has worked. How often you’ll need these will depend on what caused your condition and what treatment you had. Your doctor will tell you what you need to do. Sight problems – if you have Graves’ disease, you may develop a condition called thyroid eye disease. Find out more about this in our frequently asked questions (FAQs). Thyroid storm – this is a severe condition that needs emergency treatment. The symptoms include a fever, heart problems and restlessness. If you’re pregnant, an overactive thyroid could affect your baby if you don’t get it under control – they may be born early or underweight. It can also lead to miscarriage. You don’t need to follow any special diet if you have an overactive thyroid, just aim to eat healthily. After you have had treatment you might want to consider what and how much you eat. See Related information for tips and advice about healthy eating and portion sizes. While your thyroid was producing too much hormone, you may have felt hungry and eaten more to keep your weight up. After your treatment, you may need to eat less to avoid putting on weight. If you develop any of these symptoms, contact your GP. What precautions should I take after having radioactive iodine? What precautions should I take after having radioactive iodine? The iodine used for this treatment is radioactive. It’s very safe for you to have, but it takes a few days to a week for it to completely leave your body. During this time, you’ll need to take some precautions to make sure that you, and the people around you, are safe. After you’ve taken radioactive iodine, most of it leaves your body in your urine. Some also leaves your body in your sweat, tears, poo and saliva. This takes a few days to a week and as time goes on, the amount of radioactive iodine in your body gets less and less. How long you need to follow the precautions will depend on how much radioiodine you were given. Your doctor will be able to give you more advice. If you’re pregnant or breastfeeding, you shouldn’t have radioactive iodine. This is because radiation can pass through the placenta and into breast milk, so it may harm your baby. Ideally, wait six months after having your treatment before you try to get pregnant. Men should wait at least four months before trying for a baby. If you have any concerns or questions about radioiodine treatment, talk to your doctor. Can an overactive thyroid gland cause eye problems? Can an overactive thyroid gland cause eye problems? If you have Graves’ disease, you could develop problems with your eyes. Around a quarter of all people with Graves’ disease develop a condition called Graves’ ophthalmopathy, also known as Graves' orbitopathy, or thyroid eye disease. It’s more common in people who smoke. Most people who have thyroid eye disease have mild eye problems, which get better with treatment. But it’s possible to develop more serious problems. If your eyes and the tissues around them become very swollen, it can affect your optic nerve. This can cause you to lose your sight. So, if you have any of these symptoms it’s important to see your GP as soon as you can. Your GP may refer you to an ophthalmologist (a doctor who specialises in eye health, including eye surgery). The type of treatment you have for thyroid eye disease depends on your symptoms and how severe they are. Treatments include eye drops, medicines, such as steroids, and surgery. Can I get pregnant if I have an overactive thyroid? Can I get pregnant if I have an overactive thyroid? If you have an overactive thyroid, it can affect your periods and your ability to get pregnant. Your periods can be irregular and lighter. Some thyroid conditions, such as Graves’ disease, are also linked to conditions like endometriosis and polycystic ovary syndrome. These conditions can make getting pregnant even more difficult. If you have an overactive thyroid and you want to get pregnant, speak to your doctor. If at all possible, it’s best to plan your pregnancy and work with your doctor to manage your thyroid levels. If you’re taking carbimazole, you’ll need to switch to another antithyroid drug, propylthiouracil, before you start trying for children. If you get pregnant, once you reach your second trimester, you might need to switch back to carbimazole. You can take medicines to keep your thyroid hormone levels under control while you’re pregnant. But this needs careful monitoring to make sure that you and your baby stay well. Reviewed by Rachael Mayfield-Blake, Freelance Health Editor, August 2018.